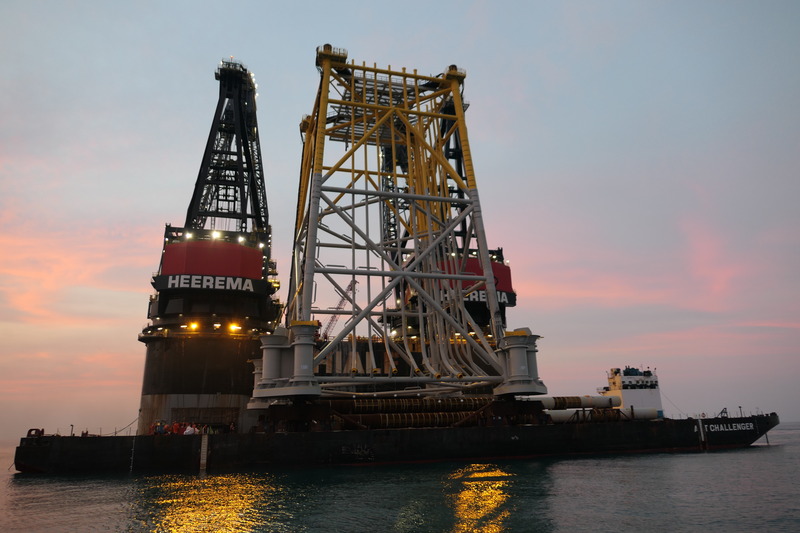 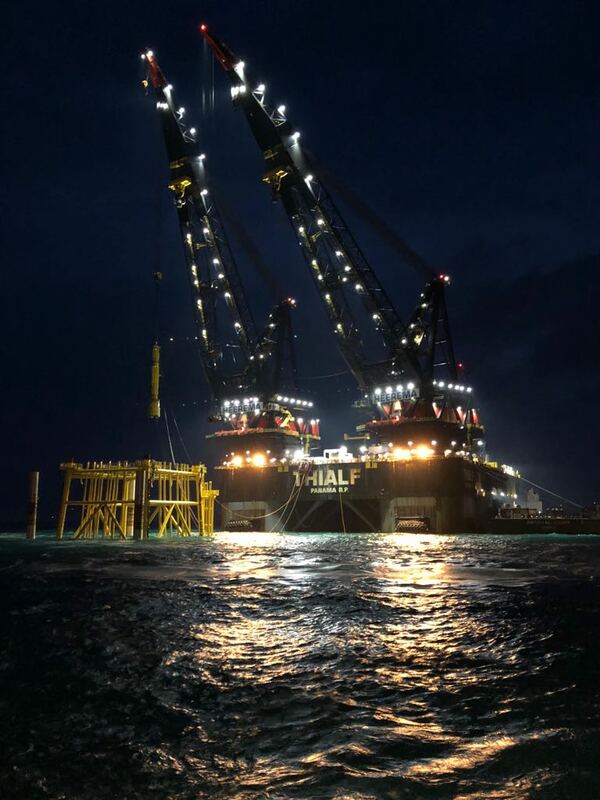 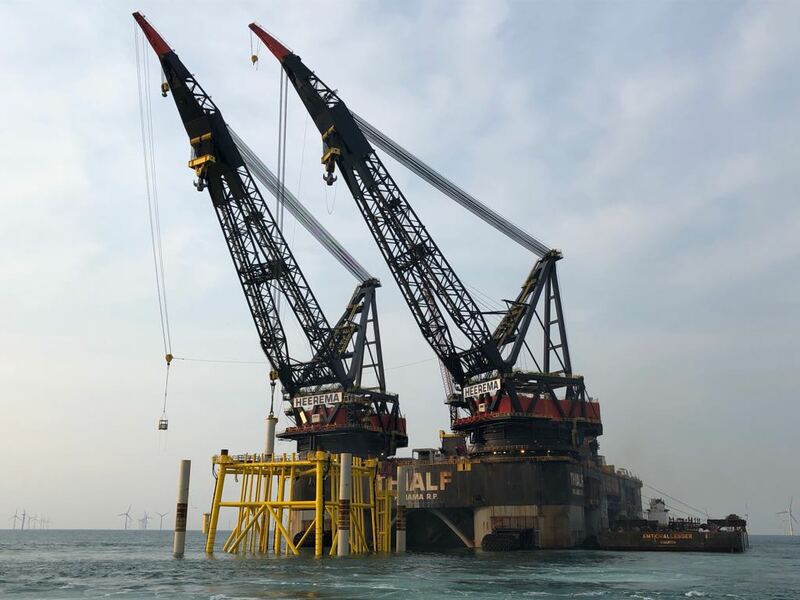 The Hohe See Jacket designed by Sea and Land Project Engineering in their offices in New Malden, Surrey, and built at the Smulders yard at Vlissingen in the Netherlands, was loaded-out at the Vlissingen yard on 21st May 2018. 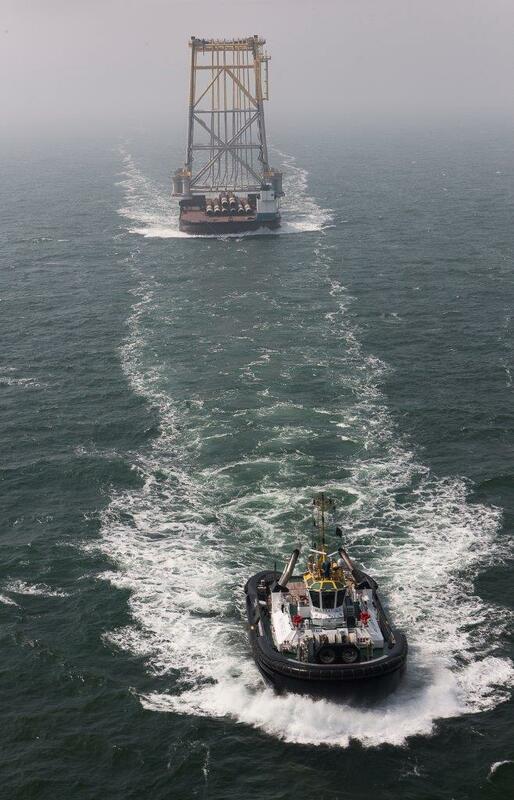 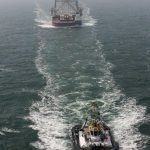 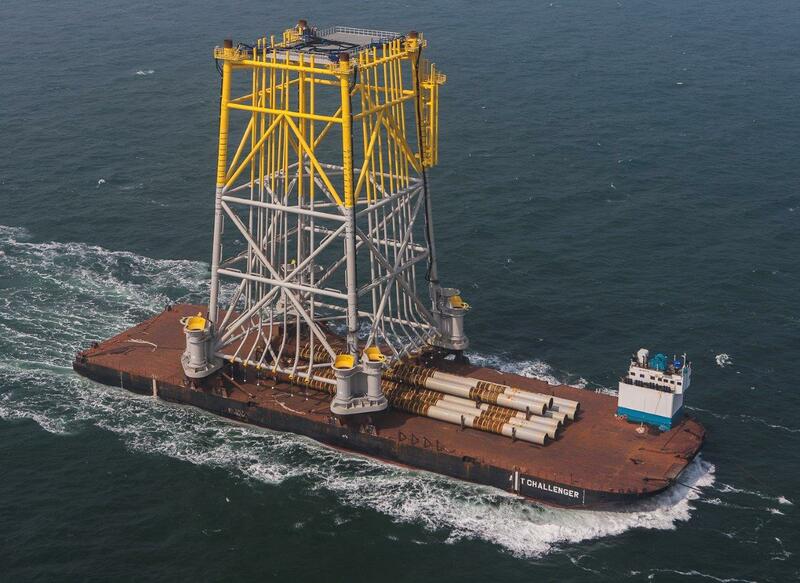 From there it was taken by barge to the EnBW Hohe See Wind Farm in the German North Sea, 98km off the German coast and 90km north of Borkum island and placed into the sea. 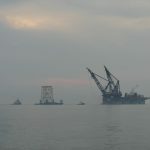 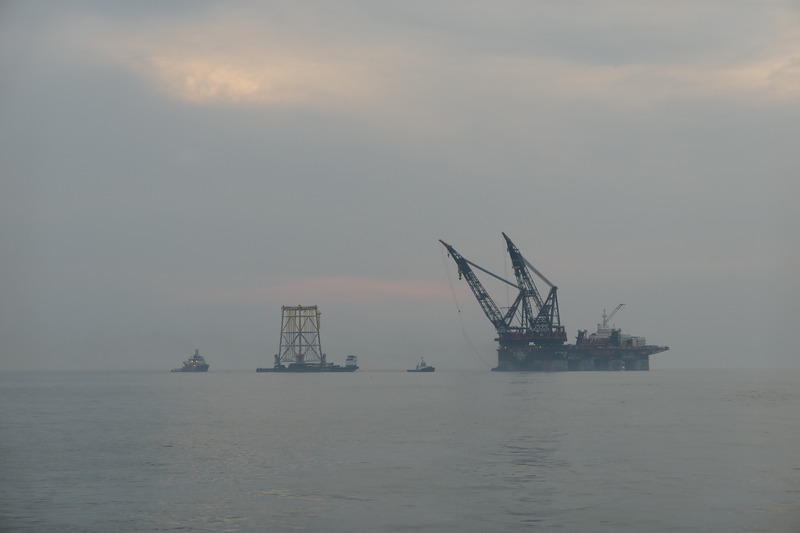 It was secured and piled into the sea bed using piles designed by SLPEL to the requisite stringent German BSH Standard. 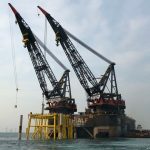 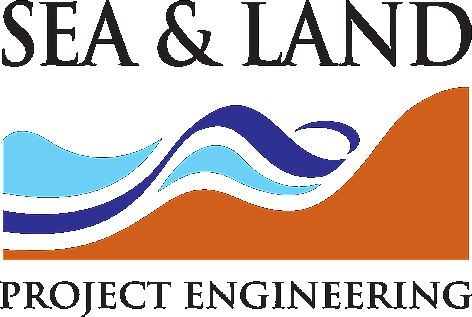 A novel approach to pile design was included, which whilst adhering to the code and ensuring that the pile would remain driveable, minimised offshore pile testing and therefore vessel waiting time. 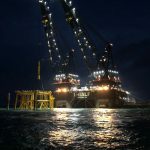 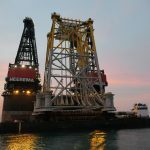 The 4250 tonne topsides will be supported by the jacket, alongside 18 J-tubes and two boat landings in a water depth of 40 metres. 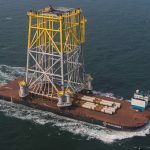 Planned to be the largest offshore wind farm in Germany, the EnBW Hohe See Wind Farm should be in operation by the end of 2019, generating two billion kilowatt hours of electricity per year, enough for almost 560,000 households.